In this paper, I will examine the creation and legacy of Johannes Gutenberg (c. 1398-1468)’s printing press, invented in the mid-15th century, in both a technological and artistic context. I believe that the printing press is an important example of technology not only because it is a machine, which tends to fall into the category of technology, but also because it falls within the purview of conceptual definitions of technology. A technology is an idea, an object, or a device/tool that extends an organism’s capabilities beyond its biologically defined limits. For example, the telephone is a technology because it facilitates communication between people when the physical distance is too great for them to speak in person, and does so at a faster rate than the letter or telegram (previous technologies which had solved this problem in earlier eras). In the context of this paper, then, the development of printing press in Europe is an example of technology because it allowed the reproduction—and rapid spread—of the written word on a level not possible when writing by hand. 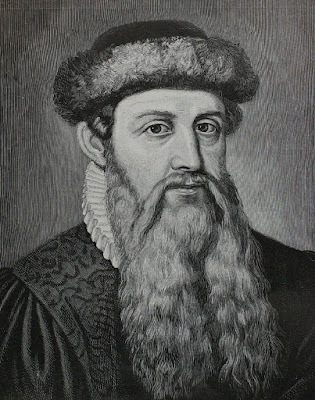 The adoption of Gutenberg’s printing press throughout Europe not only enabled and increased literacy across the continent, but also precipitated several important intellectual movements, including the Protestant Reformation and the Renaissance. Additionally, the effect of the printing press on the modes and methods of communication in Europe arguably allowed for the creation of the concept of art as a commodity in countries like the Netherlands, which still is relevant to our conception of art in the current moment. While Walter Benjamin cites the development of moveable type as having facilitated “enormous changes […] in literature,” attributing changes in art to the technologies of the woodcut and lithograph, I would like to take Benjamin’s premise one step further. I assert that the development of moveable type not only influenced literature, as Benjamin writes, but also that the easy distribution of written information facilitated by the printing press led to changes in artistic practice and production that still resonate to this day. The technical aspects of the printing press allowed for the rapid creation of many copies of one text, far exceeding the previous output of texts and the written word up until Gutenberg’s invention. Before Gutenberg’s development of moveable type in his press, texts were either handwritten or printed from wood blocks. Writing a bible-length book by hand could take several years to complete, and the wood blocks used to print pages of books were not practical for repeated printings. Thus, in order to solve this technical problem, Gutenberg created a combination of antimony, lead, and tin that was not only more malleable than carving a new wooden block every time, as he could now move individual letters to create different text, but also melted at a low enough temperature to be ideal for printing many impressions. On an artistic level, the development of the printing press not only allowed for art to be spread around Europe in the form of biblical text illustrations, but through the development and spread of Protestantism in Europe via Martin Luther’s Ninety-Five Theses, which was mass-produced on a moveable-type printing press and thus was able to be disseminated rapidly. 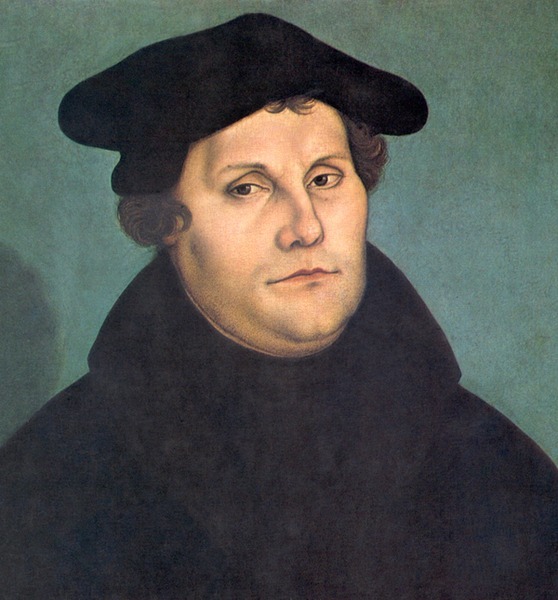 The Ninety-Five Theses, along with Luther’s subsequent writings, argued against the Catholic Church’s policy of granting indulgences, through which paying money to the Church allowed the payer to be absolved, either partially or completely, of their past sins. The rapid (re)production time allowed by the printing press allowed Luther’s ideas to spread incredibly quickly throughout Europe, with an estimated 300,000 copies sold between 1517 and 1520. The rise of Protestantism in Europe changed not only the religious faiths and practices of the states and countries that grew to practice it, such as the German states and the Netherlands, but also led to new developments in the conception of art and its place in society. Before the rise of Protestantism, Catholicism dominated Europe, particularly in countries like Italy, Flanders, and Spain. 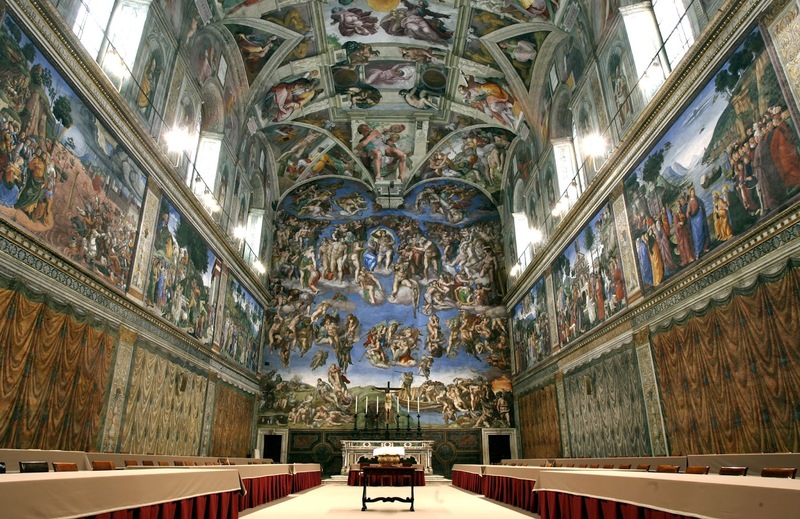 Much of the practice and strength of Catholicism in these nations was strongly tied to art; the painting of portraits of divinely-ordained monarchs, popes, and other religious figures, as well as the frescoes in places like the Sistine Chapel all were directed in the service of the Catholic Church. 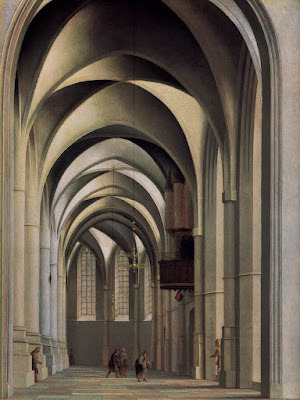 However, after Protestantism took root in several states around Europe, and led to the establishment of an independent Protestant Dutch Republic in the Netherlands in 1648, the prevailing view of the purpose of art began to shift: while Catholic institutions sought to awe and inspire the churchgoing public with ever-more Baroque paintings and decorations in their churches and chapels, Protestants believed the their churches should be less adorned and plainer, as we can observe in the paintings of Pieter Jansz. Saenredam. Thus, the Catholic and Protestant views of the purpose of art began to diverge in a crucial way. While Catholics believed that religious images embodied some aspect of the divine being they portrayed, much as they believe in the miracle of transubstantiation, by which the wafer and wine of Communion literally become the body and blood of Christ, Protestants understand the wafer and wine to be symbolic rather than literal, which extends to their conception of religious art as image rather than embodiment. If art was no longer itself holy or sacred, but merely symbolic of the holy and sacred, then art was not necessary within a church or religious context to the same degree, and could thus be treated as a commodity. In Protestant countries, art thus began to be a good that was bought and sold within a market economy; states like the Netherlands especially had strong art markets in cities like Amsterdam, Delft, and Haarlem, where artists such as Rembrandt van Rijn and Johannes Vermeer made their name and established themselves as artists during what became known as the Dutch Golden Age. Their works were not only religious in nature (Rembrandt), but also included more quotidian subjects, such as landscapes and domestic scenes (Vermeer). And this view of art is the one that has largely prevailed to the current age, with artists over the centuries, such as the Impressionists, the Cubists, and other Modernists increasingly selling their works to donors or on the art market rather than painting commissions for the Catholic Church. Thus, while the development of Gutenberg’s printing press specifically had repercussions on the spread of knowledge throughout Europe (through Martin Luther’s use of the technology to disseminate his Protestant beliefs throughout the continent) we can see that the printing press indirectly facilitated enormous changes in the art world, from the sixteenth century through the contemporary period. Without the invention of this technology, the ability for the written word to be dispersed throughout Europe would have been restricted by the biological limitations of the humans who handwrote or printed text on via wood blocks, and thus, the definition of technology as an idea, device, or object that extends the capabilities of an organism beyond its biologically- or physiologically-imposed limits holds true in this case. Taking Benjamin’s assertion about the legacy of the printing press one step further, I have argued that the development of moveable type changed not only writing and literature, but also allowed for a different conception of the mission and purpose of art along religious and cultural lines. In the states that remained Catholic after the Reformation, the visual arts continued to be understood as holy embodiments of the divine, while in the states that adopted Protestantism, images of the divine were understood to be symbolic, and thus were able to leave the walls of churches and enter into the wider art market. A.G. Dickens in Philip M. Taylor, “The Reformation and the War of Religious Ideas,” in Munitions of the Mind: A History of Propaganda (Manchester University Press, 2003): 97.